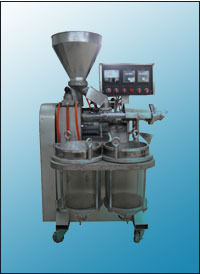 YZS 30 automatic oil press is a newly develepped oil expeller press which is practically designed to process sesame oil. It is compact, light and easy to handle. 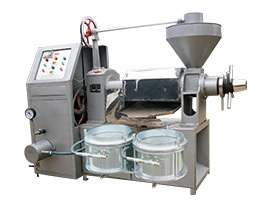 This model sesame oil making machine can automatically expel and filter the oil simultaneously, with a high rate of production and greater oil yield. 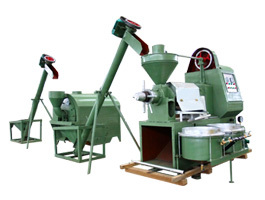 All parts of the sesame oil making machine can be dismantled, installed, and maintained easily. 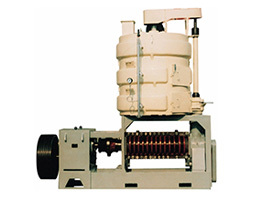 Raw material quantities of 0.2-0.4kg are allowed to be fed into the oil expeller when the expeller machine is hot. All of the sesame oil making machines are matched Chinese standard electricity situation: 220 Volts, 50Hz, single phase. 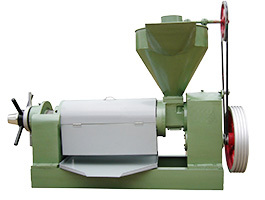 If clients have special electricity requirements on this type of sesame oil making machine, clients should pay the extra cost of electricity special require. 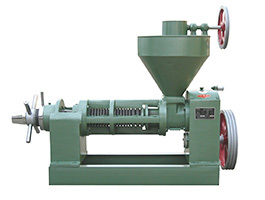 With years' experience of manufacturing and exporting oil presses and related equipment in oil mill plant, we are your reliable sesame oil making machine manufacturers and suppliers in China. Our clients have expressed their satisfaction with our equipment and are often repeat customers. For quantity more than five units or large quantity, we can give you discount in different degree. If you have any question or advice , pls feel free to contact us without any hesitation .